Mr. Sam was very helpful and provided excellent customer service. He was friendly and was a joy to talk with. The property is well kept. It is a clean, safe and well lit facility. The staff is great and I would highly recommend this location for storage rental. 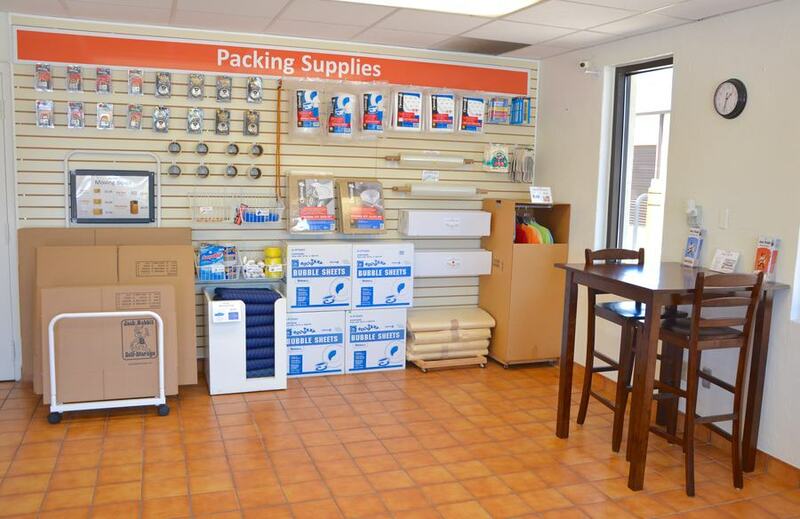 I had a wonderful experience with jack rabbit storage! 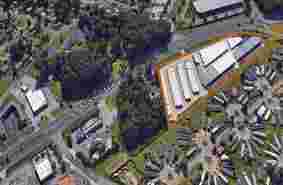 The security, Mr.Sam was very knowledgeable, extremely polite, and pleasant. The establishment was very clean. I will refer anyone that may be looking for a storage unit. Thank you!!! Allan and Erna did an Outstanding service and nice people. Reason why i came back for the second time. 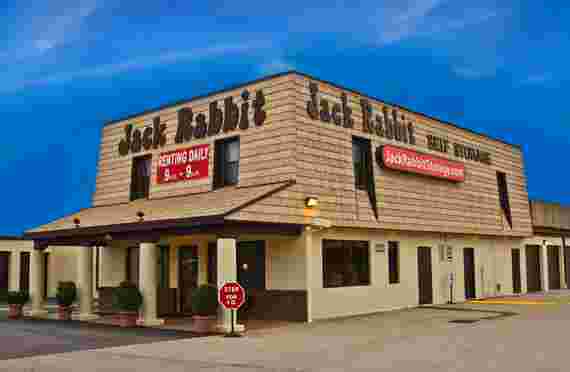 Jack Rabbit on Military highway is awesome. Security Officer Staci has been extremely helpful and the couple that runs the place are extremely kind and professional. We love this storage place. The couple running it are awesome! Always helpful!! Tonight I rented a unit to help my dads transition to Virginia as smooth as possible. Being our first time renting a self storage unit, we werent sure what to expect in regards to price and even size. We worked with Staci and she walked us through the entire process. She was swell to say the least and we would recommend anyone coming in when Staci is working. We came in tonight to rent a unit. We were helped by Staci and she really made the transaction smooth and easy. Very friendly and extremely helpful. Thank you Staci. Very professional, helpful , and friendly . I came into this jack rabbit with average customer service expectations and they gave me excellent customer service!! I loved renting here. Everyone was helpful and professional. Mr. Sam helped us with our move out and was a joy to work with. Thanks guys! Mr. Sam was awesome with helping me get the storage unit that best fit my needs. I would definitely recommend this facility. Mr Sam was awesome. Very Helpful Kind and patient. he is definitely an asset to the company we should have more employees like him . Awesome experience. Last minute needed a place, and they came through. All of the staff was extremely friendly and helpful. Grateful for this awesome location. This Jack Rabbit location was very helpful!! I came in on a weekend and Mr. Sam was super nice and helpful. Would recommend. 10/10. MR. SAM DID AN AWESOME JOB WITH HELPING ME WITH MY STORAGE RENTAL. HE WAS VERY POLITE AND PROVIDED ME WITH ALL THE INFORMATION I NEEDED. HE PROVIDED ME WITH THE SECURITY THAT MY ITEMS WILL BE SAFE WHILE BEING STORED HERE!!!!! Awesome experience! Sam was amazing and so very sweet! Great price deal! Not only are the prices great, but they both made it a fast and easy process. They were extremly friendly offered us bottled water & oreos. Highly reccomend this place. Mr. Sam I awesome! He was fast and extremely friendly. I got a wonderful unit, and was made to feel like family. Mr. Sam explained everything about the policy, and how the rental process works. Even my 3 yr old enjoyed being there!!! Mr. Sam was wonderful after driving more than enough hours it took to get here he helped me find the right sized space for my belongings will always be apart of the jack rabbit family! Mr. Sam is awesome!! I most def would recommend him for all your storage needs! I want to thank Ms Melissa, you are Awesome for helping me out today with getting my storage reserve on line, you are a blessing. I love Jack Rabbit it's a great place and Anna and her husband are wonderful people. Thanks Again. Melissa was a great help! She assisted me with everything I needed including letting me know that my first move was on jack rabbit! I was able to get my storage unit and reserve the truck the same day! I called and spoke with melissa who was beyond helpful and kind. I rented the largest unit available and she helped me through the process and went out of her way for a few extra things I was needing and wanting 10/10 would reccomend and very happy to be storing with this company. 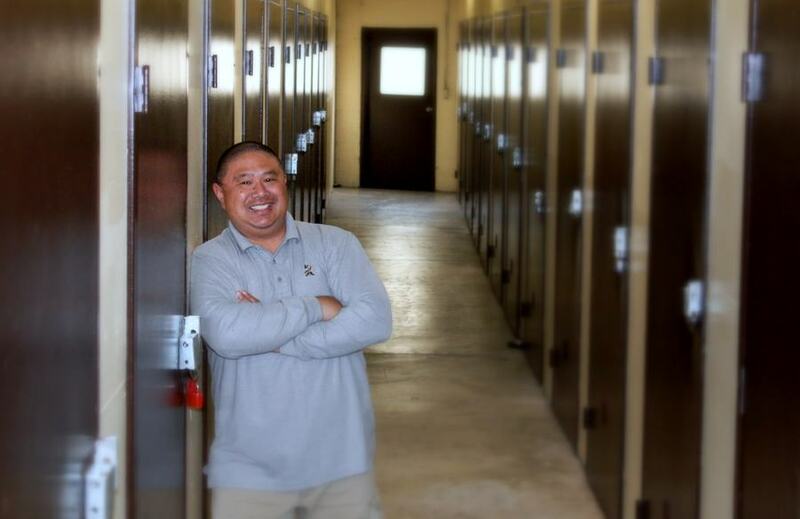 Mr. Sam did an outstanding job in the processing me with my storage unit. I will come back and recommend futher clients to this location. Mr. Sam was super sweet & really helpful to my husband & I. We got the right unit for what we needed & even caught a special for the unit we rented. I recommend this spot. We were able to reserve our space online very easily and when we arrived that evening we were greeted by Mr. Sam who already had our information. He drove us around the property, showed us our unit and got all of our paperwork in a very timely manner. Mr. Sam did a great job!!!!! I came to the site at the last minute after purchasing online earlier today, and I came to check in not knowing that I was not in the system. Mr. Sam was here onsite and called it in to the manager to make sure I was a tenant here and made sure he took care of me. I was able to come right in, acknowledge my check in on the phone with supervisor, and escorted me into my space to make sure everything is good to go. So I would like to thank Mr. Sam for doing a job well done. Mr. Sam provide excellent customer service. The property is clean and outstanding prices. Mr. Sam always provide good customer service when I come on the property and need assistance. Very nice place. I dont remember the name of the man who helped us set up our account and show us our unit but he was very friendly and helpful. Our until was clean and well lit. No problems so far! Mr. Sam was a pleasure to speak with. 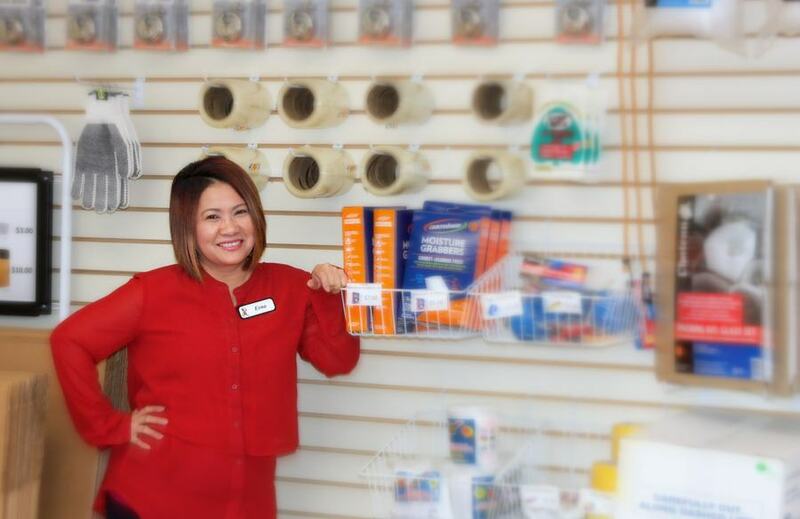 He offered great customer service and made sure I received the best unit to meet my needs. Highly recommend this company for your storage needs. Mr. Sam was such a great help, got me in my unit in less than an hour! Mr. Samuel was very nice he made sure I was taken care of. He has wonderful customer service n keep him on your team. Mr. Sam is very professional, hospitable and informative. My transaction was pleasant, simple and satisfying. The first month free is a definite blessing. 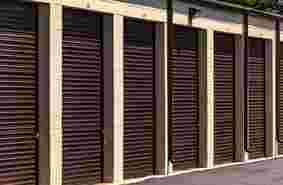 I am very happy to store my personals in such a clean, secure and convenient emvironment. Mr. Sam is the man. Super professional. Great guy. Great service. Mr. Sam was very helpful and professional. 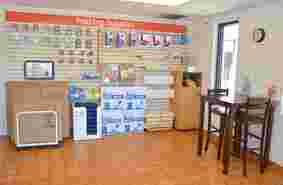 He was very knowledgeable about what I needed to do and made me feel very comfortable. ****Update**** When you start your service with them, its all nice and good, Sam was a dear at the time, (they make you do a positive review on the spot to get your first month free or some other discount that they advertise but dont disclose the review catch). After that, no one even says hello or looks in your direction politely, except for a maintenance man that helped WD40 my door one time, you pay for insurance but it doesnt cover flooding, when they are in Flood Zone A and you find that out when Flo is coming. They dont sand bag doors either... When youre moving stuff in or out they (Sam) are on top of you like white on rice not even politely, you arent gonna leave that there are you (while youre still going through things and working in your unit), you know you cant park like that to load/unload, dont you ummm no, if I knew we wouldnt have, etc. etc. They messed up our paperwork/payment one time because I had TWO units when we found out the house we were renting had black mold which made us homeless for 4 months (which they knew our situation). With all of that going on, we had some financial difficulty, my son got mauled by a dog the day manager called the first time, and I was in ER, the very last month and of alllllll the months we had been there paying for two units... the one time we couldnt afford to pay for 2 wks, they have absolutely no sympathy or compassion. We had to load almost all of our earthly belongings and take to the city dump and throw it away, with the exception of a few things that we could actually keep (which are still in storage and they wont let us get them out) they have locked us out, forcing us to pay ANOTHER month because I couldnt pay TODAY! Now, we can either pay 2 months, plus multiple late fees, up to almost $400 OR we can owe the $400 plus lock cutting fees, two other charges, one of which is charging US to SELL what little left we could ACTUALLY keep, and we end up paying $600+ ... I know this is a long winded review, however, I believe in informing others at any expense. I have sympathy, empathy, morals, and this world shouldnt be about the almighty dollar, Hope this helps the next soul who may be in a rough situation... we all could be at any given moment! *Original review* Excellent experience! Sam was amazing and so very sweet! Great price, deal! Jack Rabbit Self Storage is your best choice for self storage in Chesapeake. 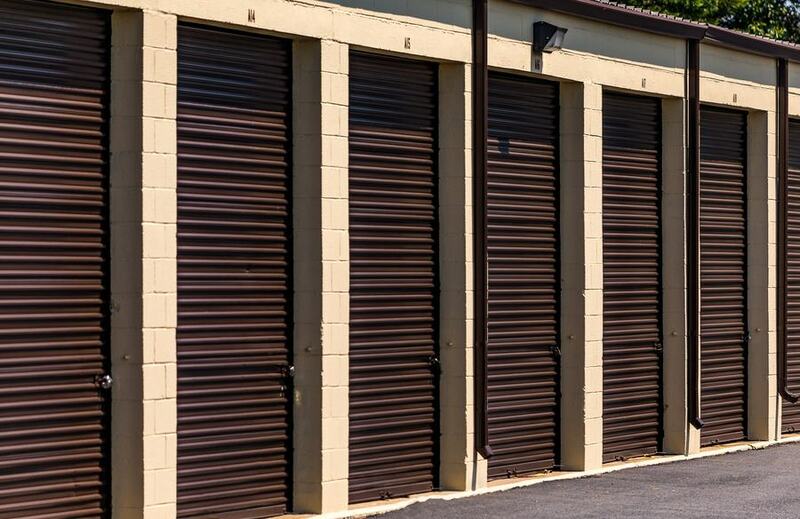 Our secure, clean and convenient self-storage facility offers standard drive up storage units in a variety of sizes for your convenience. 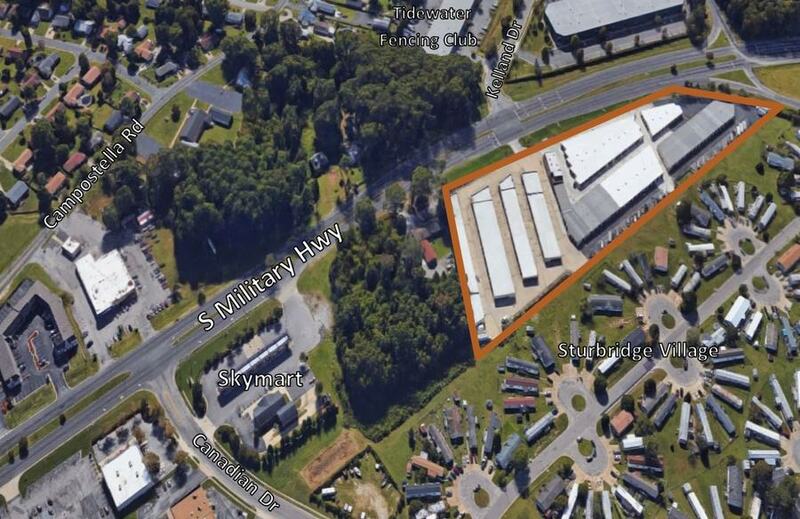 All units are conveniently located on the ground level to significantly reduce unloading time. Our wide driveways are 30 feet or wider to easily accommodate the largest truck or van. Based in southeast Virginia, the city of Chesapeake is one of the larger cities in Virginia and the nation in terms of land area. The city is rich with history, with several stops along the Civil War Trail. The Great Dismal Swamp is also nationally recognized as a stop on the historical Underground Railroad. Chesapeake is home to the Great Dismal Swamp National Wildlife Refuge and hosts a thriving outdoor community with thousands of unspoiled acres for kayaking, birding and fishing. Because of its location and highway network, Chesapeake provides easy access to several other cities in the Tidewater region including Virginia Beach, Portsmouth, Norfolk and Williamsburg, all of which are less than an hour away. Chesapeake is also rated by the FBI as one of the top five safest cities of its size in the U.S., and Money magazine proclaimed it as one of the six best places in America to live.